Summary: Brainchild behind Sparrc Institute is our MD Mrs Sujatha Pugazhendi, who recently won Best Women Entrepreneur Award – Tamilnadu Medium & Small scale Industries division. Sujatha Pugazhendi along with her husband Dr Kannan Pugazhendi started Sparrc Institute in the year 2006. Dr Kannan Pugazhendi’s expertise in sports medicine and Sujatha’s passion towards entrepreneurship made Sparrc Institute to evolve in just short duration. 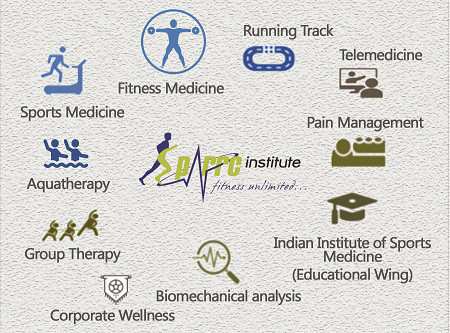 We take pride in calling ourselves “The pioneers to Start Sports Medicine in Sothern part of India” but with this image we didn’t want to stop, we started establishing our network throughout India in 14 different locations including Mumbai, Delhi etc. Above said unique combination helped us stand out from rest of the competitors in Sports Medicine industry. As our “avoid surgery” success rate is very high, people across the country, sometimes overseas do visit us. This gives immense sense of satisfaction for our whole team. We have also introduced Telemedicine wing – dedicated team to support our overseas clients. Advancement in technology has enabled us to treat overseas clients using teleconference and other tools. We have recently introduced Sparrc Domiciliary wing – home care services from Sparrc. We are now 200+ strong workforce sharing one common goal. 6 Responses to "About SPARRC"
My Father just went through an accident which broke his hand bone. Is there any exercise/alternative to avoid surgery? Are there any other centers in Mumbai except Bandra ? My father just went through an accident, after 2 months he got brain stroke has happens brain surgery and also he got paralysis left leg and left hand was problem. In that majorly left hand is not working properly. While running, I torn my left knee ligaments. I’m unable to walk properly and cannot run also. I have shown doctors and they advised it is complex tear of the posterior horn of medial meniscus. Near complete tear of anterior cruciate ligament in the mid substance. Grade II sprain of medial collateral ligament.